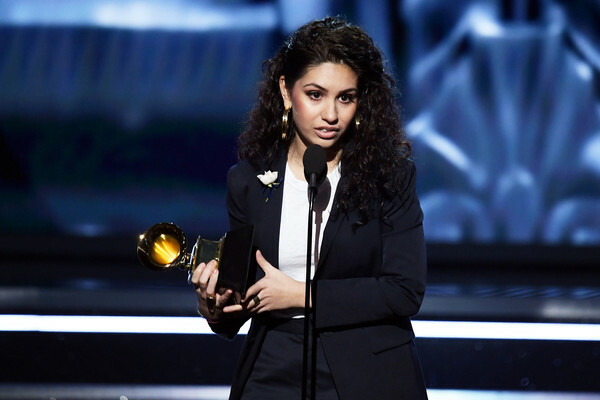 The 2018 Best New Artist Grammy Award winner is Alessia Cara. Cara is an R&B and alternative R&B singer who combines it with pop, soul and indie pop and shares the same nationality with Justin Bieber. She launched into music by posting cover songs on YouTube when she was only 13. She grew up a shy child and was too scared to sing in front of others but did what she loved doing because she wanted to get her voice put out to the world. Alessia is constantly reminded that though she is small and may seem weak, she is not. There are more interesting things to find out about this pop singer. Read ahead to do so. Born 11 July 1996 as Alessia Caracciolo, the Grammy award winner stands at 5′ 1″. Her stage name is only a shortened form of her name. She is a Brampton, Ontario, Canada native and attended Cardinal Ambrozic Catholic Secondary School there. She has Italian ancestry and can speak the language fluently. Though Alessia was artistically inclined, she didn’t always want to be a singer. When she was younger, she was convinced that visual art is the thing for her and would paint, draw and make crafts. She also wrote poetry and did theatre. Her interest in music was ignited when her parents gave her an acoustic guitar on her 10th birthday. After then, she began playing and learned how to play various songs by herself. By the time she was 13, she has started doing covers of songs and uploading them to her YouTube channel. Her first cover was Price Tag but her Sweater Weather by The Neighborhood cover became very popular on YouTube that it garnered over 800,000 views in 2013. That singular performance got the attention of Tony Perez’s (the founder of EP Entertainment) daughter who contacted Alessia Cara after watching her video, earning her a record contract with Def Jam Recordings in 2014. Her debut single Here which was released afterwards met with huge success and brought her international acclaim. The song was named one of the best Canadian songs of April by Complex and reached number 19 on the Canadian Hot 100 chart as well as peaking at number 5 on the US Billboard Hot 100 chart. The following year, Alessia made her first televised debut in July, performing Here on The Tonight Show starring Jimmy Fallon. The song (which is about the terrible time she had at a party) was nominated for the Original Song at the Streamy Award. It was a sleeper hit and also became known as the quintessential loner anthem with Spotify naming it the viral song of 2015. There were also many other impressive titles given to that one super hit. Spin called it a can’t miss track while Cosmopolitan named it a must hear song. It was ranked number 21 on Rolling Stone year-end list of the 50 best songs of 2015. Here was included on Billboard’s 20 Pop Songs You Need For Your Summer Playlist in June 2015. The success of her debut single was much more than she anticipated. It was only put out to introduce her as an artist but blew up and she described it as awesome. The best reward for a work well done is actually more work. And that is the case for Alessia. She didn’t rest on her oars with her new found fame but rather went on to release more songs. Her EP Four Pink Walls which contained five songs (Here, Seventeen, Outlaws, Four Pink Walls, I’m Yours) was followed by her debut album Know-It-All (has 10 songs including Wild Things, Stone, Overdose, Stars) on November 13, 2015. Her songs are usually inspired by her own life which makes them different with touches of ingenuity. Know-It-All peaked at the 19th spot on US Billboard 200 and reached number 8 on the Canadian Album Chart. The third single in the album, Scars to Your Beautiful reached number 8 on the Billboard Hot 100 in 2016. Alessia, the girl with the golden voice also has golden fingers. Whatever she touches becomes a success. She lent her voice to movies soundtracks and sang How Far I’ll Go in the Disney film Moana. The music video for the single was released on November 3, 2016 and has received over 140 million views on YouTube. It has received several nominations and won the Grammy Award for Best Song Written for Visual Media. She also sings Stay from Everything, Everything, starring Nick Robinson and Amandla Stenberg. The Here singer has included in her list of influencers the likes of Lauryn Hill, Amy Winehouse, Pink, Fergie of Black Eyed Peas, Drake (who follows her on Twitter) and Ed Sheeran. Her singing and writing styles have been compared to singers such as Lorde, Amy Winehouse, Rihanna, and Norah Jones. Taylor Swift is one of her fans and acclaimed the young singer on her performance of Bad Blood. They performed Here on Taylor Swift’s The 1989 World Tour in 2015 that had 55,000 people in attendance. In 2016, the official video for Wild Things was released on March 7 and in December, she released a music video for Seventeen. She was featured on June 23, 2016, in a re-released version of the song, Wild by Troye Sivan. The widely acclaimed singer collaborated with producer Zedd to create the single Stay and featured in rapper, Logic‘s song, 1-800-273-8255 from his Everybody album. The song earned a Grammy nomination for Song of the Year. She has also performed on Saturday Night Live as the musical guest on February 4, 2017. Alessia Cara has been widely recognized for her works and has been winning accolades. She was awarded the Breakthrough Artist of the Year at the 2016 Juno Awards and was short-listed for the BBC Music Sound award for 2016 but finished as the runner-up. Other awards include two MTV Video Music Awards, two Canadian Music Awards and a Radio Disney Music Award. The girl who sang that she used to believe that her dreams only existed in her dreams and has been pretending to win Grammys since she was a kid in her shower eventually won a Grammy. She was nominated for her first four Grammys and won the Best New Artist on January 28, 2018. She became the first Canadian artiste to win this award and that marks an impressive leap for her career. See Also: From Bruno Mars To Cardi B, Kesha – Who Stole The Show At The Grammys? The award was considered one of the toughest categories because you can only be nominated once and the competition is fierce. In her speech, she thanked her parents, her brother, her music team, the Grammys and her fans, noting that that the award is for them and that they are the reason she won’t have to win Grammys in her shower anymore. She was born to Italian parents, Enza (Ciccione) and Vincenzo Caracciolo who hail from Calabria. While her father, a welder was born in Canada to Italian parents and had to travel between Canada and Italy, her mother is an Italian immigrant. Alessia has three siblings, Dairo, Dante, and Danica. The star said her dad is very strict, citing that every time there is a guy around the house, his demeanour would often make up for his height, considering that he is very short. Her father is also very protective and would accompany her everywhere even when she was 19. She often had to stay in her room quietly and did all her early recordings in the bathroom so as not to disturb her younger brother. Despite all these, her parents seem to be very proud of their daughter. At one time, Alessia Cara was speculated to be lesbian because of the uploads of her records done in closet filled with men’s clothes. However, in the backstage chit-chat session of the Juno Award, she slammed the lesbian rumor by revealing that she has a boyfriend. And that is Kevin Garrett. The duo did a joint concert tour in 2016 and has already released some cover songs together online. Kevin is a Brooklyn based singer, songwriter, producer who studied music technology at New York University. He is signed to Jay-Z’s label, Roc Nation, has an EP called Mellow Drama (which also has five songs like Alessia’s debut EP) and wrote Beyonce‘s Pray You Catch Me. Like his girlfriend, he plays the keyboard, guitar, does R&B and is fast becoming famous. He got acquainted with music early in life, being raised on a musical diet of classical music and classic rock. Her net worth has been estimated to be $4 million which came from record sales, concert tours and ads earnings from Youtube. She is dedicated and diligent and if she continues to release new songs over the next few years, it’s very likely that her net worth will continue to rise.